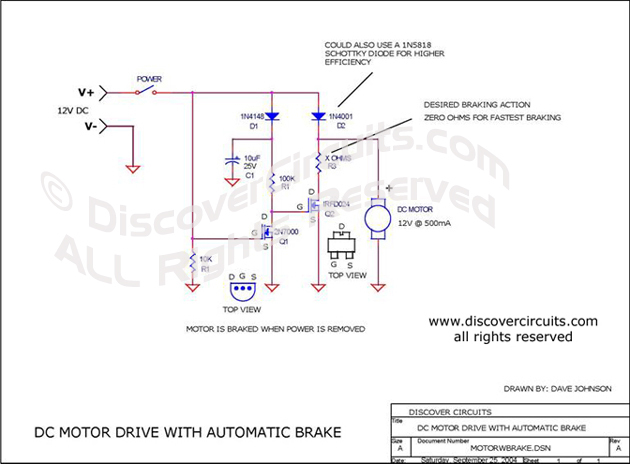 Circuit: Motor Brake__ Circuit designed by David A. Johnson, P.E. This circuit will bring a fast moving DC motor to a stop in seconds. The braking action is automatically applied whenever DC power is removed.